UPDATE: The girls have returned home safely. Police are asking for the public’s help in locating two girls who have gone missing from the Essex area. 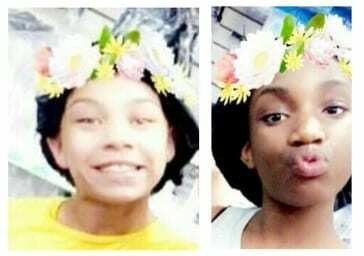 The girls were last seen on Tuesday, August 28, on Moline Circle (21221). Cheyanne N. Karim-Cook, 11, is a black female, approximately 4’11,” weighing 110 pounds, with brown hair and hazel eyes. Michaela K. Mapanzi, 12, is a black female, approximate 5’5,” weighing 120 pounds, with black hair and brown eyes. Anyone with any information on the girls’ whereabouts is asked to call 911 immediately.